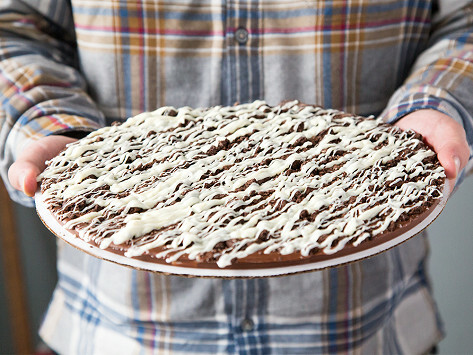 These 12-inch chocolate pizzas are big enough for the whole family. Made in the seaside town of Swampscott, MA, these milk chocolate confections come gift ready to sweeten someone’s day. Please note: Contains milk, soy, and wheat. Produced in a facility that uses peanuts, tree nuts, wheat, and milk. Dimensions: 12" x 12" x 0.75"
I sent this to my Granddaughter for Valentine's Day. The chocolate was delivered quickly and she said it was wonderful. My wife and daughter absolutely love it. It’s wonderful. It Wass awesome! Recipients loved it! It was awesome! Recipients loved it! 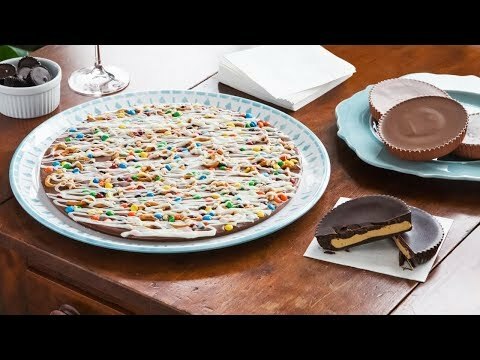 These chocolate pizzas and peanut butter cups aren’t just big desserts. They’re big enough for a family. And they’re made by a family, too. The Baccis make all of their delicious chocolate confections in the seaside town of Swampscott, Massachusetts. From Candy Bits and Cookies ‘n’ Cream to S’mores and Dark Chocolate, all their sweets come in a variety of flavors for every kind of palate and craving. They also come in gift-ready packaging so you can give them on special occasions or holidays like Christmas and Valentine’s. Or you might decide to tackle these treats all on your own. No judgment from us if you do.